Are Gutter Covers Worth the Investment? Have you been thinking about getting gutter covers installed at your house, but you don’t know if they are worth it? Many people probably feel that way, but what most people don’t know is how beneficial gutter covers are for your roof and gutter system. Once you take into account the benefits, you will understand that gutter covers are definitely worth the investment. Gutter covers keep out the debris, leaves, sticks, and twigs so the water can run through your gutter freely, and won’t get clogged. Gutter covers even keep out birds that like to sometimes to build nests in gutters! Certain gutter covers can fit inside your existing gutter so you won’t have to replace your entire gutter system, unless, of course, there is damage to your gutters and you need them replaced. At DeKalb Roofing Company, the LeafSolution gutter cover we use can fit within the gutter you already have, and we also offer gutter installation services if you need a new gutter system. Gutter covers allow your gutters to function to their highest potential. Gutters clog less frequently when you have covers on them. If gutters clog and you don’t fix them, you can cause severe damage to your roof, basement, or patios. When gutters are clogged, the rainwater can’t run the normal course through the gutter. This results in the rainwater leaking out or seeping out over the gutters, onto your sidewalk, concrete, bricks, and the side of your house. This can cause damage, create mud on the ground, and can sometimes lead to the formation of mold. Well, with gutter covers, your gutters won’t become clogged, and the rainwater will exit the gutters the proper way—through the downspout. 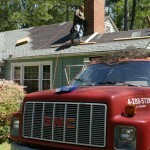 Our Atlanta Roofing Company has your solutions! Now that you know some of the benefits of installing gutter covers, you can take advantage of the gutter covers we offer at DeKalb Roofing Company! The product we use is called LeafSolution, and our customers have been very pleased with its performance. Now that you know the great benefits, we’re sure you can see that gutter covers are worth the investment. To get your gutter covers installed today, call our roofing company in Atlanta to schedule your appointment! This entry was posted in Gutter Covers, Gutters and tagged gutter covers on June 24, 2011 by DekalbRoofing. Have you looked up at your gutters lately and noticed sticks and leaves hanging off the side of your gutter, and then asked yourself—when was the last time I had my gutters cleaned? Well, if you’re like many people out there, you probably aren’t even sure how often you should clean your gutters in the first place! How many times should I clean my gutters? If you have trees hanging over your roof and gutters. The leaves, sticks, and debris consistently fall in your gutters, which causes them to clog more frequently. The more frequently your gutters clog, the more you must clean them out for proper roof maintenance! If you don’t have gutter covers installed, you may find yourself cleaning them out more than two times per year. At DeKalb Roofing Company, we use a product called LeafSolution, which keeps the debris out of your gutter so the water can run through freely. When we install your gutter covers, you will only need minimal gutter cleaning—lucky you! By regularly maintaining your gutters and roof, you can ensure that mildew, mold, or rust is not forming in or near the downspouts of your gutters. This happens when water is clogged and sits there for months and months. Depending on the severity, this can also cause your roof to become infested with fungus, mold, and other harmful bacteria. When cleaning your gutters, ensure that all debris is completely out of your gutters and downspouts. This will maximize the opportunities for the water to run freely and drain properly. To minimize the need for cleaning your gutters often, DeKalb Roofing Company offers and installs the LeafSolution gutter cover. We can actually install it on your current gutter system, or if you need a new gutter system, DeKalb Roofing Company offers excellent gutter installation services as well. The LeafSolution is made of stainless steel mesh, which only allows water to get inside of your gutters. So that means no more sticks, debris, and leaves to clog up your gutters! 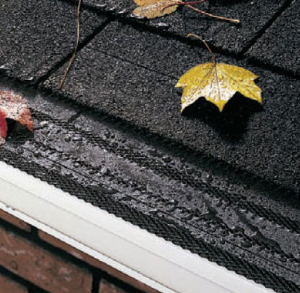 By using LeafSolution, you will lessen the frequency of when to clean your gutters. Experience the LeafSolution gutter cover today—call us for your free quote or to schedule your appointment today! This entry was posted in Gutters and tagged frequency of cleaning gutters on June 21, 2011 by DekalbRoofing. Let’s face it, no one likes to clean gutters, especially with all of the leaves, silt, and critters that you will typically find during a hard day of gutter cleaning. While there are many products on the market that claim to keep your gutters from clogging, few of them actually deliver on that promise. 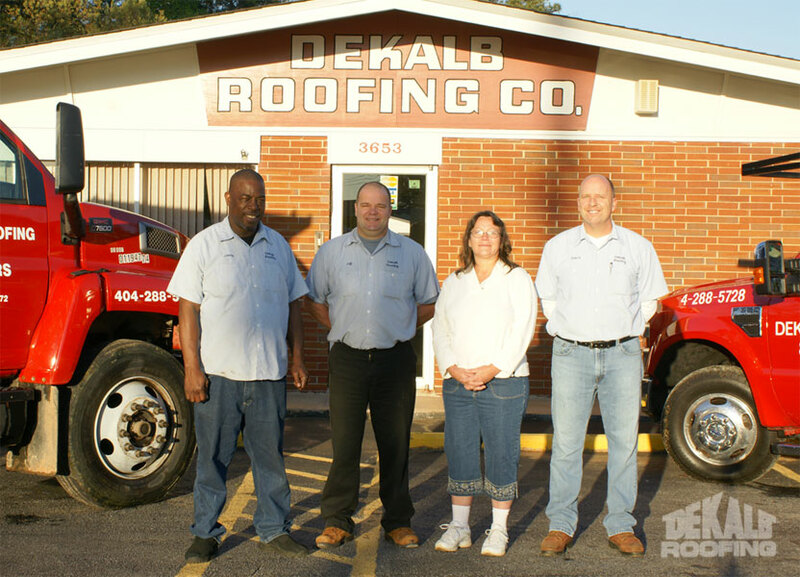 Here at Dekalb Roofing Company, we are providing the residents of Decatur, North Druid Hills, and the surrounding areas with the best leaf proof gutter product on the market: Leaf Solution. With Dekalb Roofing Company, you are going to get much more than the typical “one man show” that calls himself a professional roofer. 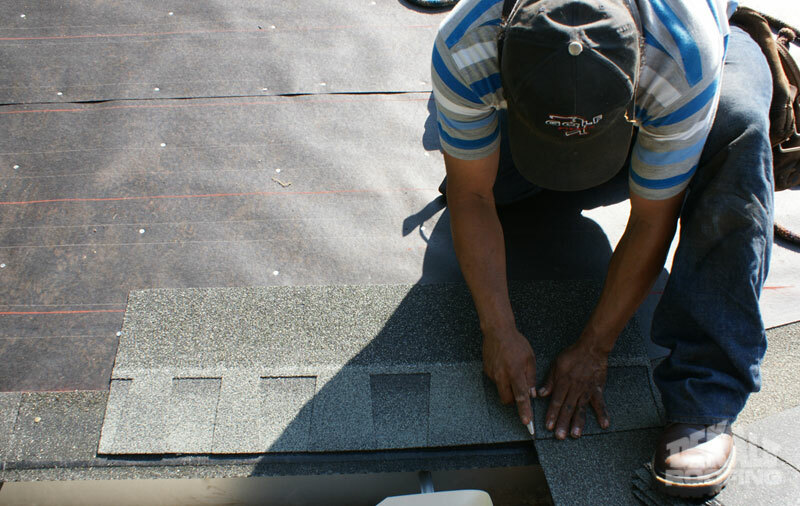 We have a dedicated team of roofing and gutter specialists in place to do the job right the first time. 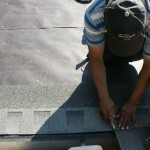 Whether you are looking for a completely new roof, quality gutter installation, or gutter covers,we have what you need. 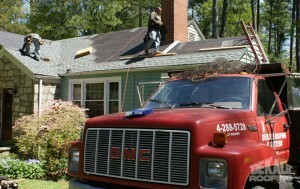 In fact, we have been a top performing roofing company since we opened in 1972. Our goal has always been to do the job right the first time, and keep our customers 100% satisfied. There have been many products that claim to guard your gutters from clogging and excessive debris; however, after testing several of these products we have found that Leaf Solution delivers superior results. Leaf Solution is essentially the first company to perfect the usage of stainless steel mesh within gutter covers. Leaf Solution gutter covers can be installed on a slope, and have 3 seams that force the water into the appropriate areas. If you want to truly leaf proof your gutters (and allow only water inside) then it’s time to consider Leaf Solution. It is a solid investment that will increase the value and appeal of your home, church, or office building. If you want to learn more about the Leaf Solution, contact Dekalb Roofing Company today for a free estimate. 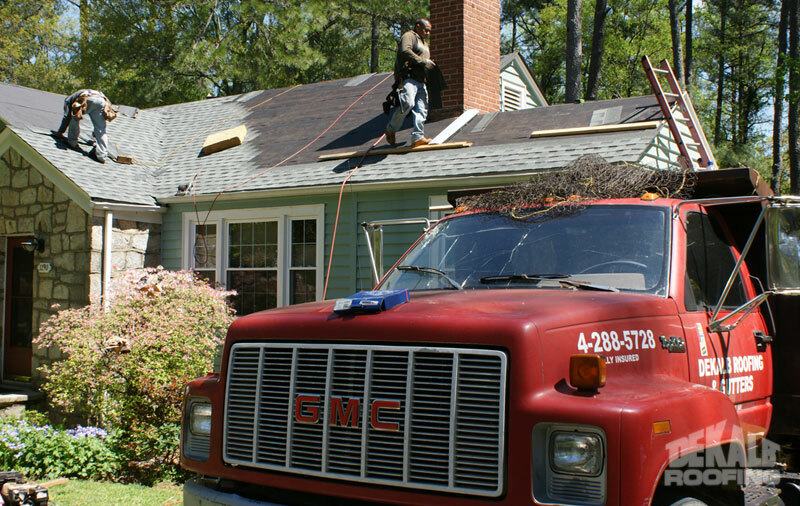 Our gutter and roofing contractors are here to serve you! This entry was posted in Gutters and tagged leaf proof gutters on May 27, 2011 by DekalbRoofing.